With a busy life style and changing trends we all want things that can be made and eaten quickly. I can see the increasing focus these days on instant mixes, jams, chutneys, etc; that can be used as an accompaniment with main course whenever we are too tired to whisk something up. There are companies that have branded this idea and have grown really big in the business. Naturally, the mixes made at home are a lot tastier. Its a one-time effort and the resultant powder or paste can save your time all month! Here is an event where I would like to gather some such dishes which have a long shelf-life. To go with Rotis : Chutneys or powders which taste well with chappatis or parathas. Useful when you dont have time to make a sabzi. To go with Rice : Powders / pastes such as Puliyogre paste, Biryani powder, etc; that can be instantly mixed with rice and eaten when you dont have a curry. To make an Instant Curry : Powders which can be boiled to instantly make curries. For ex : powders to make Majjige Huli (curds curry), rasam, etc; Please ensure the mix is instant. There should not be much work in getting the final dish ready. To make Sweets : Powders or pastes that can be used to instantly make sweets or any kind of dessert. To go with Snacks : Sauces, Dips or chutneys that taste well with snacks. For ex : Tamarind chutney can be easily preserved for a month in the fridge and had any time with dhoklas or pakodas. 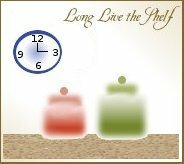 (2) Please mention the approximate shelf life of your dish (with or without refrigeration) and which of the above categories your dish falls under. (3) Please link your post back to the event announcement. Feel free to use the logo in your post. (4) If there is an older post of yours that you would like to send to the event please create a new post and link it back to the announcement. (5) Multiple entries are welcome. You can add older recipes to the current post and send it. (6) Please send recipes that are vegetarian. Eggs are allowed. Non-bloggers can send me their entries too. I will guest post it on their behalf. The round-up will be posted one week after the deadline. I know what you are thinking. We have roti but no sabzi, we have rice but no curry, what kind of a meal is this? 🙂 Well, thats the way most of us eat on certain busy days and its always handy to have quick add-ons. Awesome Idea. I will try to send you some recipes. Hey good one this is will get to see so many things in this i guess. woow..nice event Roma. I think I have few on list to send it to you. Thanks so much. Hope to see lots of bottles on the shelf pretty soon. Very good idea Roma. I think I can definitely contribute to this event of yours. Yummy looking seekh kababs. You have awards waiting for you in my blog!!! I have something already ready to post. I am in.. will send you the details in couple of days. Thats would be a great info for everyone.. nice event..
i have couple of recipes that could long last in the shelf, i’ll send you soon. Sure Yasmeen, send your recipes across. Roma! i just hurried over to check the last date to this event, you wont believe I actually made something just for the event and wanted to post it over the weekend, but had some emergency at home and so ‘ am at home in India right now. and unfortunately had no time to take the final picture of my creations 😦 but I have all the other stages and will post it before the deadline! Dont worry Rajani. Please attend to your family. Its really ok if you have pictures of only the intermediate stages. So nice to know you made something specially for the event. I have a sun dried preserve on my blog. It is not an accompaniment by itself but is used in certain curries. Can it be sent in??? Sure, Jayashree. Please add the shelf life to the post and send it.